¥7,000 — am I rich? Probably not. 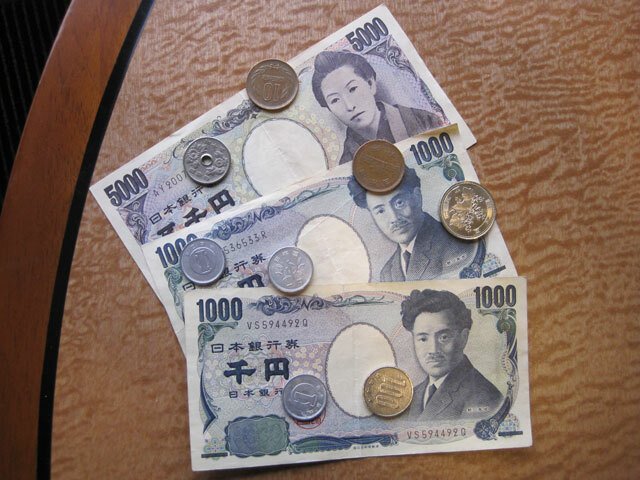 A crisp Ben Franklin bought me this 7,674 yen at the hotel front desk. Pretty sure that’s a terrible exchange rate, but isn’t getting ripped off part of the whole international experience? Maybe not — I don’t feel any more worldly. The “traditional Japanese breakfast” at the hotel restaurant costs ¥2,200, so I think it’s time to venture out in search of food.